R/V Roger Revelle is operated by Scripps Institution of Oceanography under a charter agreement with the Office of Naval Research. 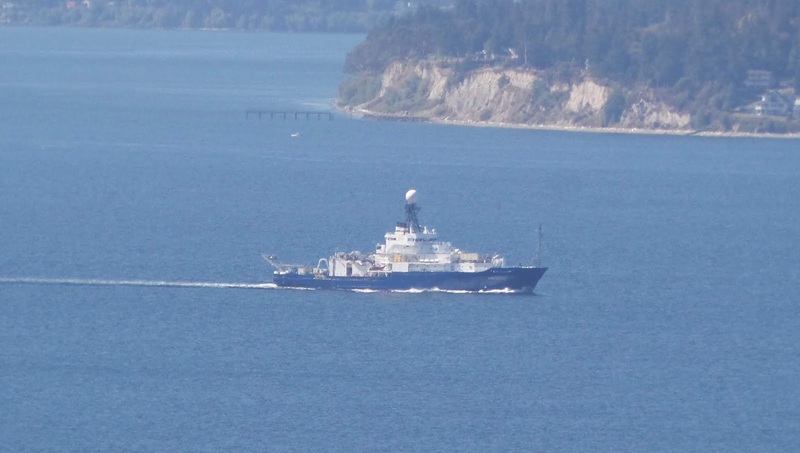 Roger Revelle is one of six major oceanographic research vessels owned by the U.S. Navy and operated within the University-National Oceanographic Laboratory System as shared-use research facilities. The National Science Foundation is the primary U.S federal agency supporting research at the frontiers of knowledge, across all fields of science and engineering (S/E) and all levels of S/E education. Important support for research vessel operations at Scripps Institution of Oceanography is supported by the National Science Foundation. The vessel's suite of shared-use instrumentation is carefully maintained and regularly upgraded to offer scientists the most capable sensors available.